R&R Group Jammers4u is OEM Manufacturer focused on wireless security market needs that respond by developing jammers to meet ever increasing requirements of the market. Current trend is fast expanding drone market that poses a new kind of treat to safety of events and secure objects. 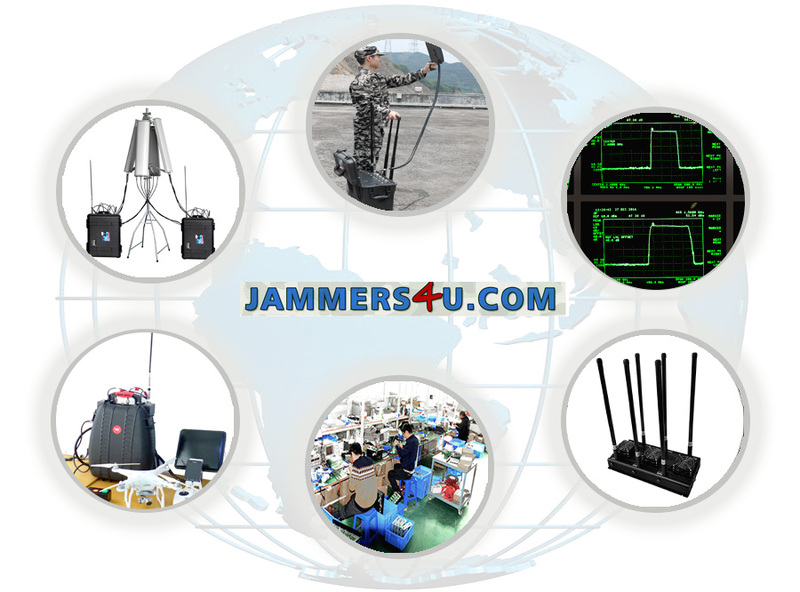 As original RF equipment manufacturer from Taiwan with own factory in Hong Kong/Shenzhen, China, Jammers4u hold traditional quality developed in many years of making for wireless RF technology on Taiwan, therefore you can be sure that our Jammers products quality and technology is match superior then from other manufactures. Products case may are look similar, but inside is PCB boards, RF Modules, even antennas are different, of course, the performance are a lot of different. Jammers are used in many different scenarios and to find the best fit for your needs, we carry a whole spectrum of jammers for every possible application. However, there are so many different wireless technologies that are in use today, that we can help you to accomplish your goal with the best combinations of bands to suite your needs. Any combinations and customization are possible just send us your inquiry and we will give you our recommendation. We can design a system that works for you. Our production is very flexible and we can accommodate large orders in short time without drop in quality. All of our products are burn-in tested after production and we ship only 100% functional jammers. Warranty for all products is 1 year. Jammers4u have big R&D experience and will be able to meet any of your technical requirements or concerns.